Santa at Bagnalls Beach Reserve with Ken and Barb Robin. 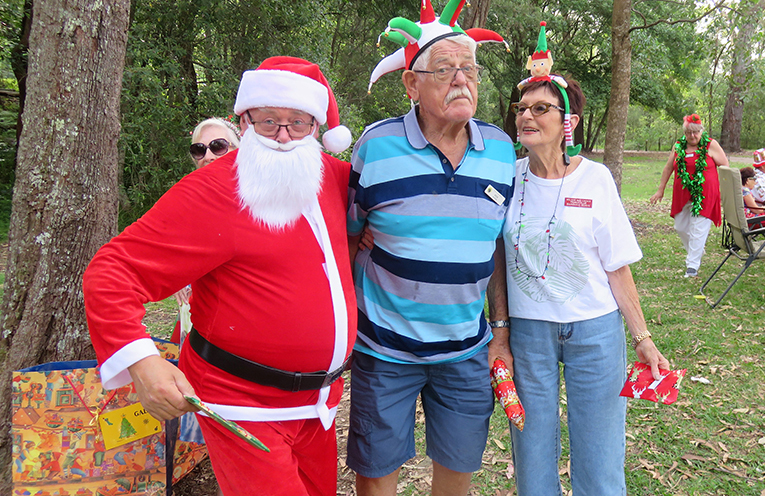 THE Christmas spirit is starting to take hold around the Bay and the Probus Club of Port Stephens is well and truly getting into the spirit of the Festive Season. Some activity groups within the Club are having their own small end of year celebration but the club held their annual Christmas Nibbles in the Park. 50 members set up shop late afternoon at Bagnalls Beach Reserve trying to avoid the falling sticks in windy and sunny conditions. Most members dressed up in their Christmas finery for the occasion and this made it a very colourful affair. “Santa came striding across the carpark ringing his bell and was warmly greeted by this bunch of “big kids”, she said. Gifts were distributed to all present with much kissing and hugging of Santa. Santa got very tired and had to be assisted by Elves Ron and Brenda to empty 4 big bags of Christmas gifts. Santa is sure to be a busy man through until Christmas morning and the Probus Club members gave him a cheer of appreciation as he disappeared with a Ho, Ho, Ho! 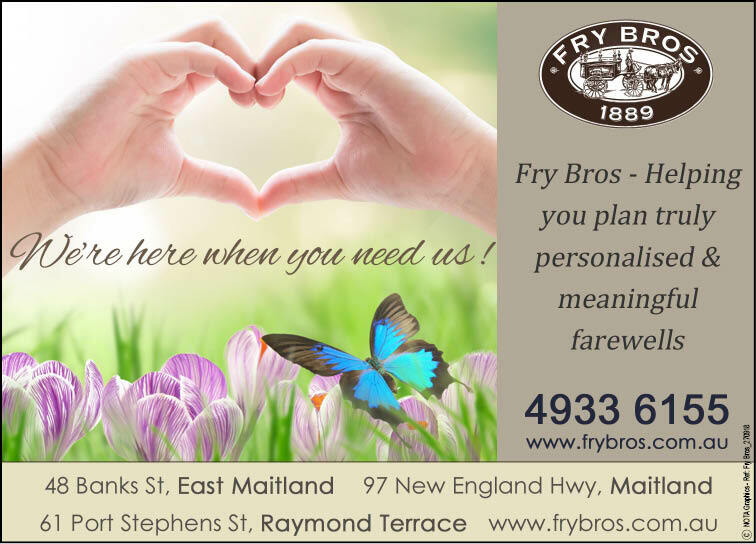 Hampers were won Arthur Dollisson and Sylvia Heath.